This Apple Rosemary Whiskey Cocktail is like fall in a glass. This easy fall cocktail makes a whole pitcher, so it’s perfect for football parties tailgating, or game day! As we wind down summer, I start to feel my spirit lift. Fall is my season. I love everything about it. Pumpkins. Scarves. Boots. Apples. Cocktails. Last week was the first football game of the fall season on tv. Not a season game, but some sort of opener game. You can tell I am well versed of the ins and outs of football season. What I am well versed in is fall cocktails. Football cocktails. Tailgating cocktails. Game day cocktails. While I know some of you prefer to drink beer with football, beer makes me sleepy. Cocktails make me happy. There is apparently a whole whiskey revolution going on. It seems like new distilleries are popping up every where. While I could have tried one of the newer whiskeys, I went with a classic. It doesn’t get much more classic than Jack Daniels, especially since we live in Tennessee. First you make the rosemary simple syrup. Bring sugar and water to a boil in a small saucepan and boil for 3 minutes. Remove from heat and add honey and rosemary sprigs and cool. 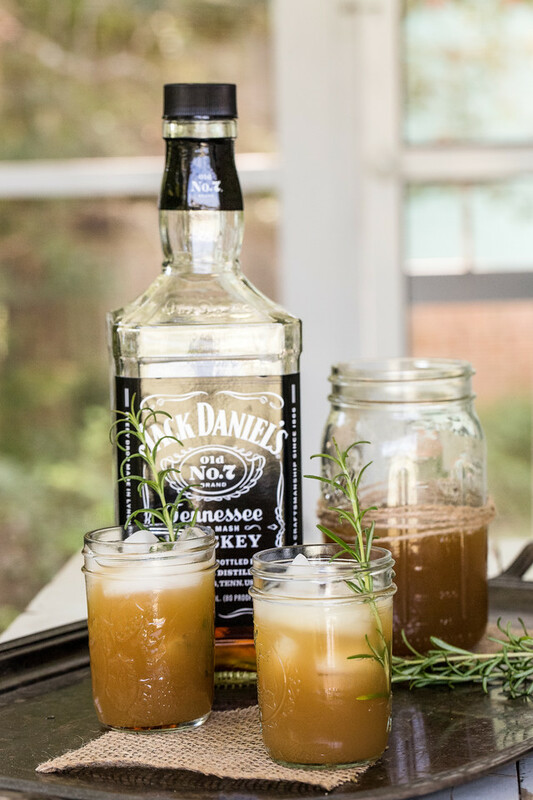 In a large pitcher or jar, combine the rosemary simple syrup, apple juice, and whiskey. Serve in mason jars or your favorite cocktail glass and enjoy! I found this recipe in an old 2015 issue of Donna Hay’s magazine. Everyone loves this Apple Rosemary Whiskey Cocktail. Since it makes a pitcher it's perfect for game day! Bring the sugar and water to a boil in a small saucepan over medium heat. Remove from heat and add honey. Stir to dissolve. Add rosemary sprigs and set aside to cool completely. 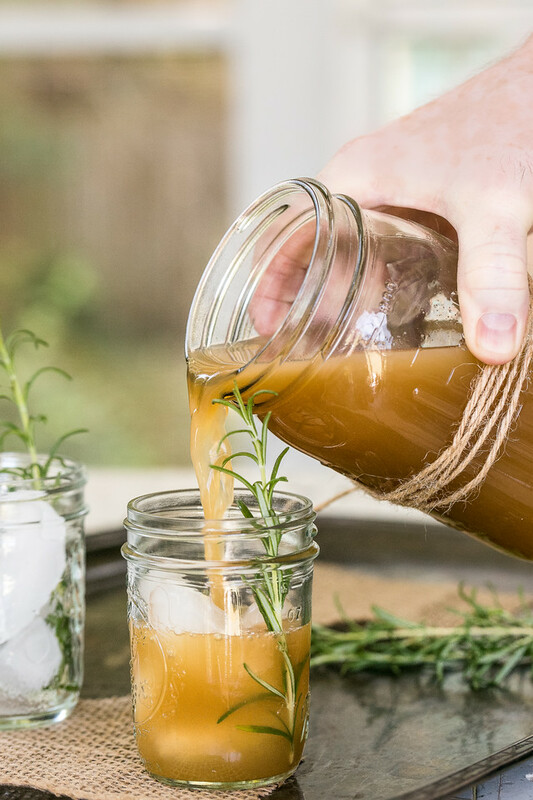 In a large pitcher or jug, combine the rosemary simple syrup, apple juice, and whiskey. Stir to combine. Fill the glasses with ice and pour over the cocktail. Serve with a lemon slice. This looks yummy! I love a good whiskey cocktail! Now I’m in the mood for fall! This looks like the perfect flavor combo. Sounds like a complex and wonderful mix, Pam! This drink has me looking forward to those brisk Autumn days ahead. Cheers! This looks like a delicious cocktail, love the rosemary garnish!